BT Young Scientists Success. Congratulations to the sixth class pupils of Holy Family BNS who will be attending the BT Young Scientist’s Exhibition in the RDS on the 8th January 2014. The boys project “Why are pipes round?” was successfully chosen from a very large selection of entries from primary schools all around Ireland. Well done boys. 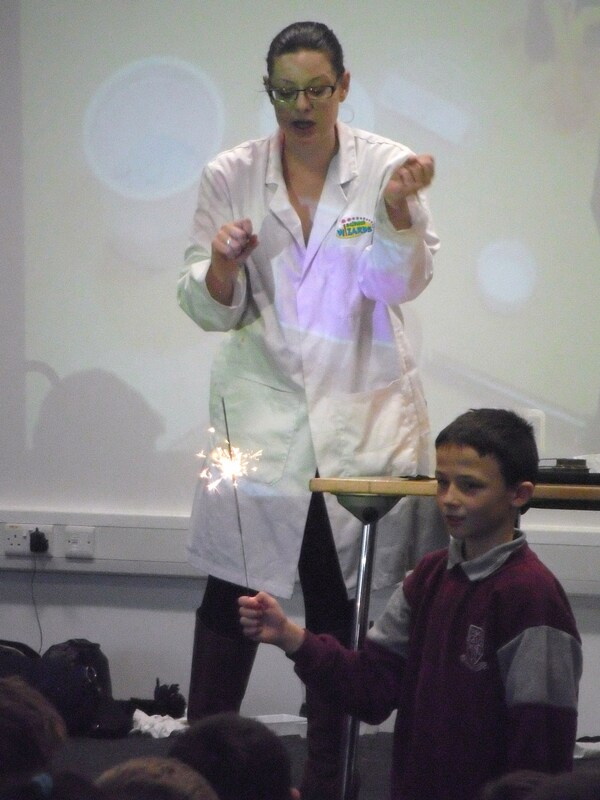 Photos shows 5th class pupils , enjoying an excellent talk on “Heat and Fire” in Carlow IT as part of National Science week.